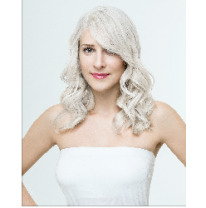 Be generous with the bleach mix and really saturate the hair. Pour in 7 oz (200 ml) of your developer (1:2 mix) and mix thoroughly. Aim to get great product saturation. But at the same time work fast also to give your whole head a consistent result! 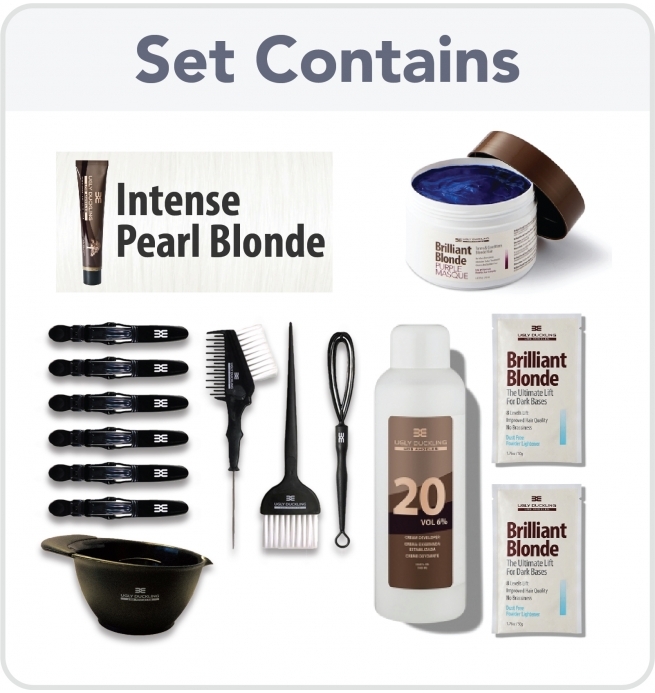 Watch the color change and rinse when you get the desired color. Rinse first with water. Then apply a large quantity of purple mask and massage in thoroughly. It will also help in removing any remaining yellow still in the hair. 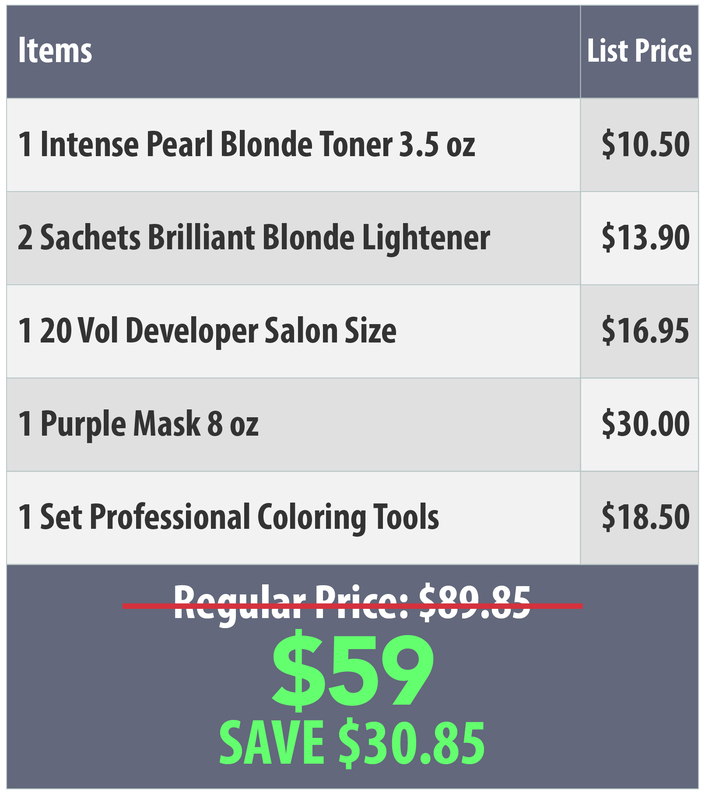 Use the purple mask once a week to keep your hair ultra white blonde and ashy. Hair by Ashley Betancourt, New York. 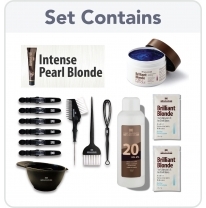 This set will produce an ultra white pearl blonde look. Please refer to pictures above for typical results.